Fate gave Roxanne Veletzos a rare opportunity, and she seized it: a chance to rewrite history. 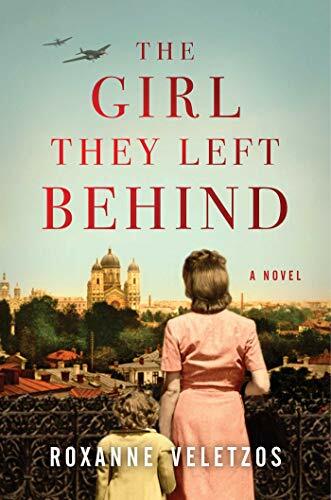 In her debut novel The Girl They Left Behind, Veletzos—a Romanian-born, former marketing manager and inhouse corporate writer—has imagined an alternative history to fill the gaps in her mother’s already dramatic story of surviving the Holocaust and then Communism in Romania. Like the novel’s main character, Natalia Goza, Veletzos’s mother was abandoned in a Bucharest doorway as a little girl in 1941. The desperate Jewish parents who left her there, with a note pinned to her clothing, hoped that if a kind-hearted stranger would rescue her, she might survive what would eventually be known as the Bucharest Pogrom, one of the war’s worst mass civilian attacks on Jews. Veletzos says she steered close to the truth in writing about Natalia’s life with her wealthy adoptive parents—first their early-war luxury, then their bare survival as “bourgeois reactionaries” under Communism. The novel even keeps their actual names, Despina and Anton. As Romania switches allegiances, its residents huddle in cellars first for protection against Allied bombers, then against the Nazi Luftwaffe. Unfortunately, when it comes to the more creative sections of the novel—Natalia’s imagined search for her birth parents and her romance with Victor, an impoverished Socialist student—Veletzos lets clichés take over. That’s not all: Just at the last moment, a mysterious benefactor in Geneva manages to send an impossible-to-get vial of penicillin to save Natalia’s life. When Anton was wealthy, he befriended the struggling Victor. So when the Communists grab power and Victor is rising in the ranks, he of course risks his career to rescue Anton from prison. Because these pages are fiction, perhaps Veletzos felt compelled to invent scenes and people even more dramatic than the true parts, and she just got carried away. To her credit, she does have the novelist’s knack for writing a plot that often zips, especially in the final 50 pages. And perhaps in her next novel, freed from trying to juggle fiction and biography, Veletzos will be able to simply tell a good story.